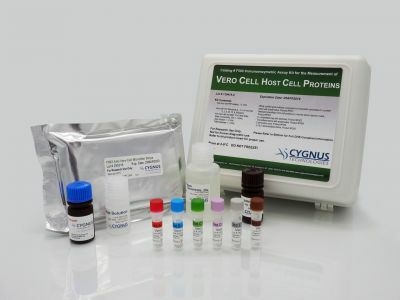 Cygnus Technologies EndonucleaseGTP™ ELISA Kit is a sensitive and specific assay to detect and quantify residual endonuclease impurity in recombinant viral vector and vaccine preparations. Expression of recombinant viral vectors and vaccines in mammalian cell culture is a cost-effective method for production of commercial quantities of gene therapy and vaccine biologics. The manufacturing and purification process of these products leaves the potential for contamination by endonuclease enzyme often used to remove endogenous host cell DNA and RNA, as well as unincorporated plasmid DNA from viral vector production. It is desirable to reduce endonuclease contamination to the lowest levels practical. Cygnus EndonucleaseGTP™ ELISA kit is based on antibodies generated and affinity purified against a genetically engineered endonuclease from Serratia marcescens. 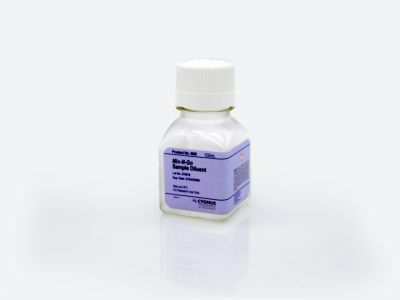 With a detection limit of ~60 pg/ml, it is a sensitive and specific method to aid in purification process development, process control, routine quality control and product release testing. 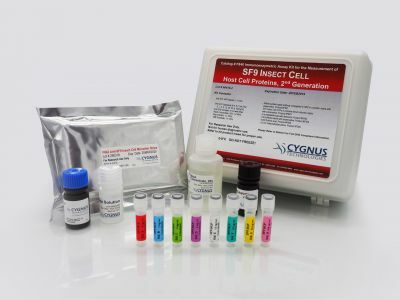 The kit uses a simple simultaneous protocol where samples containing endonuclease are reacted simultaneously with a HRP-labeled anti-endonuclease detection antibody in microtiter strips coated with an affinity purified capture anti-endonuclease antibody. The EndonucleaseGTP™ ELISA Kit contains all components to evaluate the presence of endonuclease impurities in 96 samples, including a set of calibrated endonuclease standards. It is suitable for the detection of genetically engineered endonucleases such as Benzonase Nuclease and DENARASE. *Benzonase Nuclease is a registered trademark of Merck KGaA DENARASE is a registered trademark of c-LEcta.